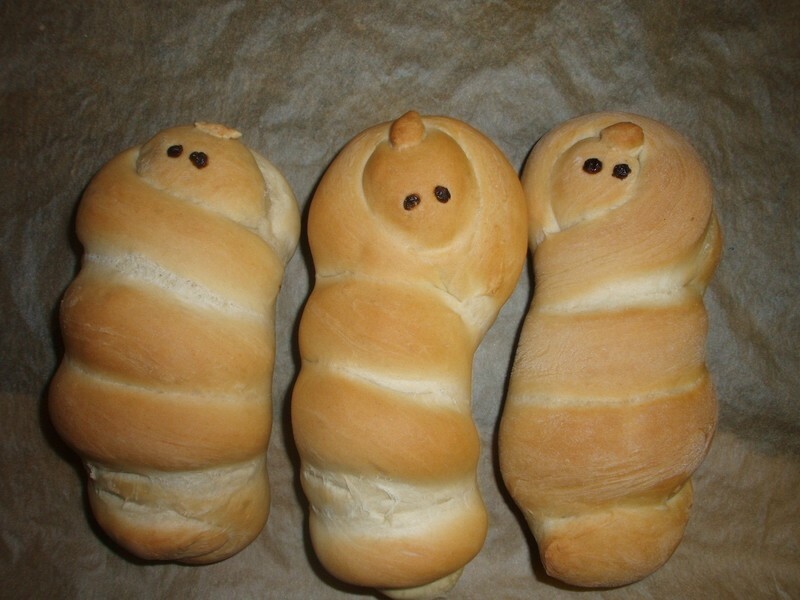 Great for your Christmas Meal. Prepare the bread dough as instructed on the package. Make a long roller a ball and a long (20-25 cm) shaped piece. wrap the long piece around the other two. 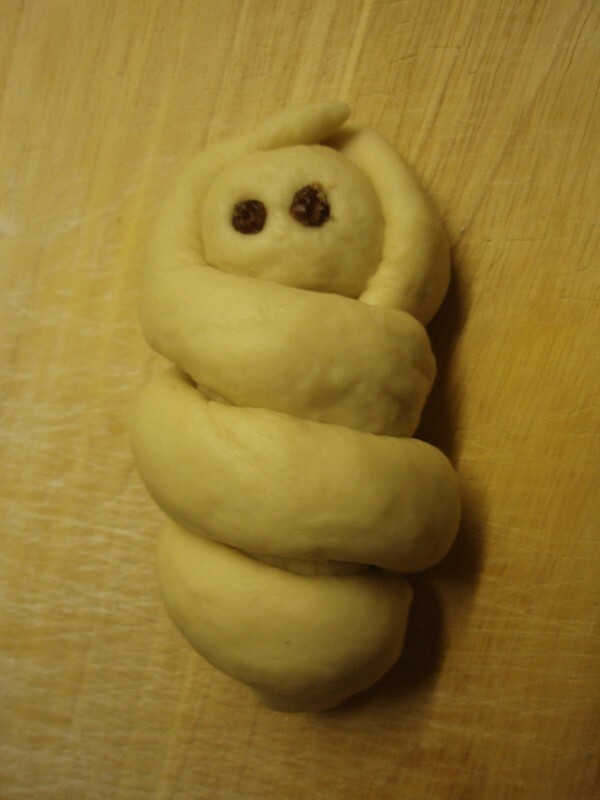 Use a tiny bit of bread dough to make a baby-curl and little pieces of raisins for the eyes. Strike some coffee milk (if you're Dutch) or a mixture of egg and milk on the dough. I forgot that and that's why mine don't look shiny. 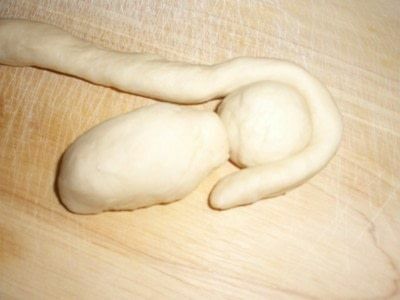 Let the dough rest under a tea towel for 20 minutes. Bake for 20-30 minutes in a preheated oven at 175 degrees Celcius. 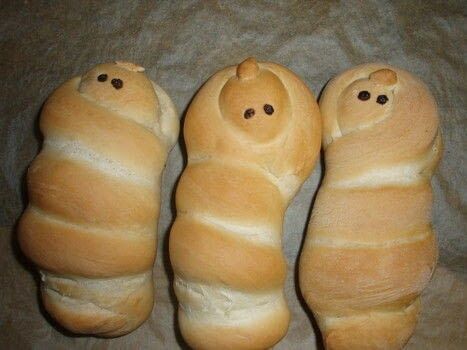 oh i chuckled when i saw these. i love them. 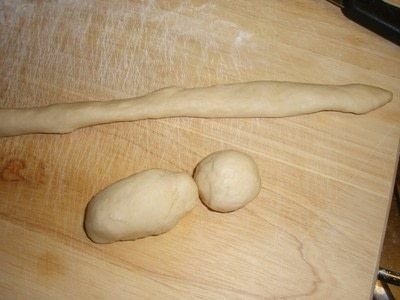 I think I need to make some.. but out of cookie dough. They're gorgeous how they are though. thats so fab perfect for our picnic on the beach on christmas day ! Eerr, I really hope no man has one like this ;) They could be maggets though. Yuk! Haha, no insult taken, don't worry.